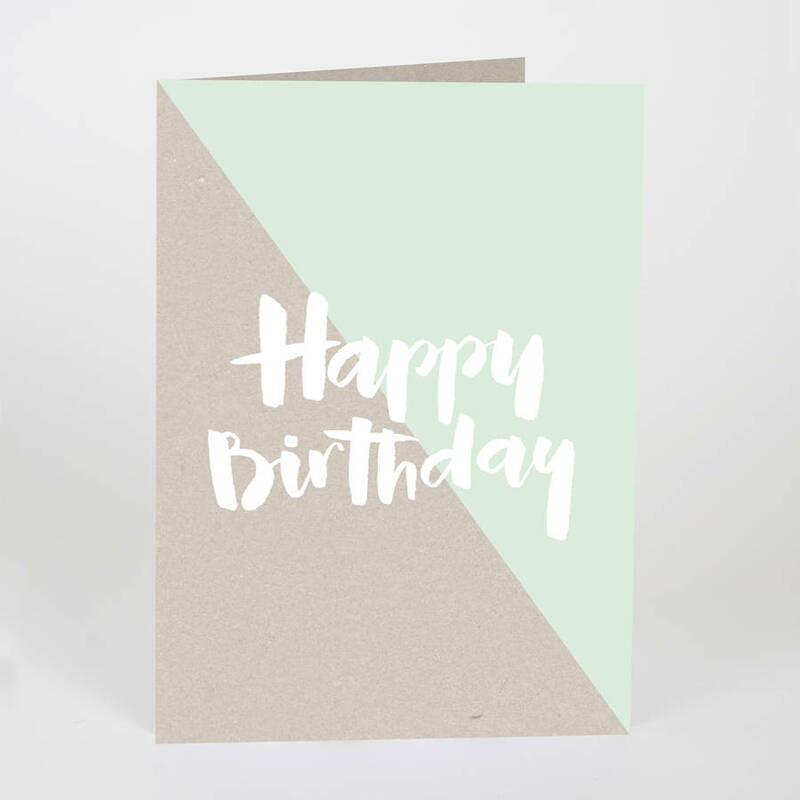 Premium recycled 'Happy Birthday' card featuring diagonal design and hand drawn type. 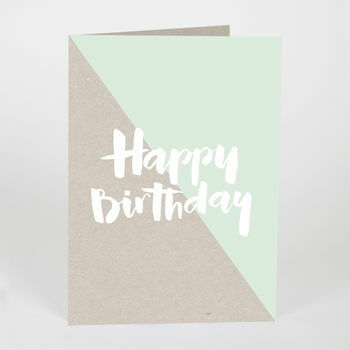 Say 'Happy Birthday' in style, with this colour-pop greetings card. Perfect for design lovers, this card is printed on recycled FSC certified stock and features a simplistic aesthetic. Send birthday wishes in style, with our 'Happy Birthday' greetings card. Printed on recycled 320gsm, FSC certified stock.